Today we are going to discuss the two great names in the car’s music or audio industry, which are very much popular and are loved by everyone. They are Pioneer and Kenwood. This is the most interesting and hot topic with never-ending debate on it. Although both of the brands are just excellent that we can’t say that which one is better or not, as they are the main and top brands and both are going higher in excellence. Pioneer was actually found in Tokyo, Japan in 1938, having almost 80 years of excellence. This Japanese Multinational corporation, Pioneer is producing tons of multiple products like unlimited car audio products like speakers, amplifiers, subwoofers, tweeters, etc and a lot more things till now, automotive navigation systems, DVD players and recorders, Television and a lot of others products also. Here we are focused on car audio accessories. So all of the car audio products are marvelous and are of high quality and outclass performance that is praised by everyone. Pioneer speakers don’t do any compromise on their quality at all. Their speakers are excellent for entertainment as they have a significantly enhanced sound quality. They produce a much louder and worth listening sound according to your demands and preferences that’s why Pioneer is on the top just because of their dedicated work and hard struggle. Since the establishment of Pioneer they are proceeding forward towards excellence day by day and now they are among one of the top brands and still, they are manufacturing their high-quality products. They have separate component high-grade custom fit speakers, TS-Q-Level separate component speakers, custom fit speaker series, TS-G speaker series, TS-E, emotion series and many more. All these Pioneer speakers have a smooth off-axis frequency response that why there is no sound distortion and manages low frequency sounds perfectly. Pioneer Car Speakers produces the wide sound that feels of any live performance and you will love it when you will use their speakers. Pioneer subwoofers are also best and are of high quality. They are fabulous in producing higher, deeper and more precise bass tones. Installing pioneer subwoofers with your car’s sound system will improve the listening experience more and the strong bass will make you fall in love with these subwoofers. I am short of words by praising Pioneer brand’s car audio system products. They are totally awesome. These subwoofers improve any kind of sound experience of music like the club, pop, rock, jazz, classical and electronic as well. Their hard work has made their subwoofers SPL World Championship winners. Pioneer make sure that their subwoofer must deliver high power that creates an amazing impact even in the very deep frequencies. These subwoofers also provide maximum durability with a plug and play feature. They have also manufactured boxed subwoofers as many the other subwoofers are not boxed and they slide from their proper position and they have to adjust properly and it takes time to properly install them but you just have to plug and play with Pioneer boxed subwoofers. They have ib- flat subwoofers, active subwoofers and a lot more including various shapes and size subwoofers in it like TS-A300D4, TS-A300S4, TS0A250D4, TS-A250S4, TS-W25PRS, TS-SW3002S4, TS-Z10LS4, TS-D10D4 etc and many others. An amplifier is used in the car’s sound system enhances the volume of the sound according to your choice, so same is the case here for these car amplifiers. Pioneer amplifiers increase the output level of the sound system and you can also adjust it properly and tune the volume settings with the audio system of the car. Most of all the amplifiers have good single, 2 channels and maximum 4 channels also, to drive the front and rear speakers at the same time, with different classes, including D type amplifiers that also manages the temperature rise of the sound system and keep the system to remain perfect all the time. These subwoofers are also best for music types like club tracks, symphonic orchestra. Another noticeable thing is that these Pioneer amplifiers are having a small footprint with large (max) sound. The most perfect thing in Pioneer car audio products are its speakers and I personally love listening to the Pioneer speakers as I have installed these speakers replacing the factory fitted speakers in my car and they are producing a high quality and worth listening sound that makes me fresh all the time when I drive in my car by turning these speakers on. It’s absolutely obvious that quality always seeks attention and makes its mark in the world, so did the Pioneer car speakers. I have installed 6×9 pioneer car speakers 2 years back and they are performing fantastically till now and whenever I turned them on, I feel proud for installing such excellent speakers. Kenwood Corporation is a Japanese Company, founded in 1946 and has 72 years of excellence. Kenwood is also on the top hot list of car’s audio system manufacturers. Kenwood Company designs develop and sold the personal 2-way radio communication equipment, amateur radio equipment, car audio items, and Hi-Fi home and personal audio and here we are just focusing on its car audio products. Kenwood is making the best speakers for each and every car of different types and different sizes and most of all its high-quality speakers are budget friendly also. It’s great to replace your factory speakers with the Kenwood speakers for excellent sound quality and the best performance. Kenwood excelon speakers take the audio quality and performance to the next level. I just love Kenwood door speakers. The Kenwood speakers are of X series, PS series, E series and many more. Subwoofers are an important part of a car’s sound system and Kenwood subwoofers are just awesome. Its subwoofers come in a variety of sizes and shapes as well as a variety of depths that almost fits every car. All you have to do is to found out the exact perfect size for your system. 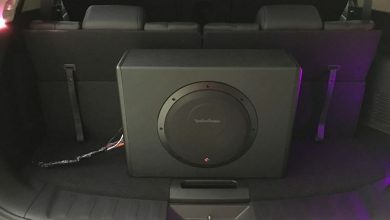 I have my family car in which I have adjusted Kenwood subwoofers and whenever we go to any picnic or some sort of family outing, these subwoofers gives such a melodious sound that I will keep loving more than any else subwoofers. Its strong bass is worth listening more than anything. Read this amazing guide about underseat vs trunk subwoofers. If you love powerful bass then go for a 15 inch subwoofer. As it’s a famous and reliable brand that why make all of its products of extremely high quality but it’s the actual reason for this brand to being on top among the best brands. As amplifiers are a must if you want to enhance the sound more and without Kenwood amplifiers, the sound system is incomplete. Class d amplifiers are among the best nowadays, not only they deliver quality music but they are energy efficient at the same time. Their amplifiers are very much powerful and compact as they bring each detail and power to your music that you will found great and feel enthusiastic after listening to that powerful sound. 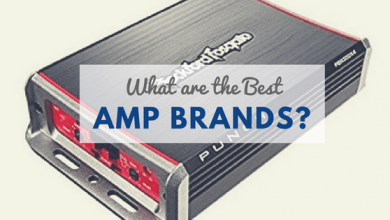 Selecting a good amplifier brand is a must for quality and neat music. They are some common examples of Kenwood amplifiers that are KAC-7005PS, KAC-5001PS, KAC-M1804, KAC-M3001, KAC-M1824BT and many more. Kenwood Excelon products reproduce a top class music that is clear as an original recording. Kenwood uses the latest technology to create this impressive and remarkable product like receivers, speakers, amplifiers, subwoofers, and all these products comes with the Excelon 2 years warranty. They have just outclass digital and multimedia receivers, digital media receivers connects to the car’s music source through Bluetooth, SD card slots, USB ports, satellite radio ports, and even AUX inputs and Kenwood Multimedia receivers offer large touch screens which give more ease for usage as they are the main gateway to CarPlayTM, HD radio, Android AutoTM, and Bluetooth also. So you can easily play the music from here with just some clicks. As well as Kenwood also provide navigation along with these multimedia receivers and GPS will guide you through out while driving. Personally, I love Kenwood subwoofers the most, among all its car audio products, as I have said I also own Kenwood subwoofers in my another car. Without a subwoofer, a sound system is incomplete and its precise and deep bass influenced me to write about it. Yet, everyone has his own personal preferences and may be you people will found any other Kenwood car audio product excellent but I personally like Kenwood Subwoofers the most and I have installed its 10 inch subwoofers in my car. Although both are excellent top brands and going head to head with each other but their comparison is still done by the people because of their experiences or preferences and it’s a hot debate. Although both are perfect, both have excellence, best performance, good warranty, durable products but some things are said to be perfect according to reviews of thousands of people. So, we will be discussing here, some of the main differences between Pioneer and Kenwood. Read this chart and this whole careful to easily select one for your car. Just carefully give it a view. 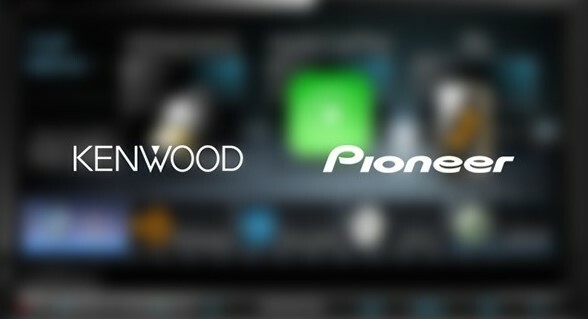 Pioneer and Kenwood, both are on top and provide us something worth listening. Here, I will explain some of the main things or differences between the best audio product of Pioneer and Kenwood. In the case of car’s Stereo, everyone seeks toward betterment and an improved system. Actually, the Kenwood car stereos are the best, they are really very impressive and are of different kinds of models. They are actually having a wide and very responsive touchscreen, also it is having the navigation system for your safety and convenience. 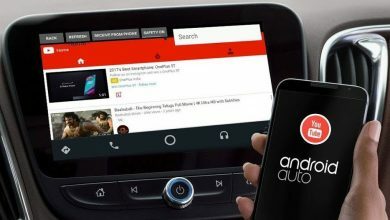 You can connect your smartphones, Bluetooth and audio streaming features to it and the Kenwood Stereo fits latest car models also, in almost each and every car easily. Even you can connect USB, reverse cameras, media devices and outputs like amplifiers and speakers etc to it. So these are some main reasons that why Kenwood Double Din Stereos are the best and are top rated most in the market than that of Pioneers, although Pioneer is having single and Double din units in a variety and most people like them also but the main difference is the operating system of these units in Pioneer and Kenwood. Read this guide about installing a car stereo. Pioneer stereos are completely digital and don’t have any button on the screen. These stereos differ in their prices also. Personally, I love to use the mid-range Kenwood Double Din units. While comparing the Pioneer and the Kenwood speakers, Pioneer is an ideal. I own Pioneer speakers in my car and they are best for natural and high-quality sound creation that is crystal clear and is something that pleases the ears. Pioneer speakers are well known and are widely used and loved by the people and also they come in a wide variety and affordable prices. As well as Kenwood speakers are good but not so much like the Pioneer speakers, it totally depends on your people that which one do you want to take and which one you prefer the most. So I have given every minor detail about Pioneer and Kenwood. Carefully read this article to clear all the queries in your mind related to them and their comparison. 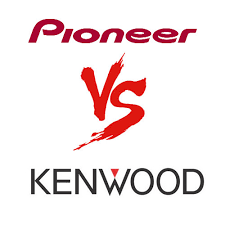 I hope that I have explained much about Pioneer Vs Kenwood. So, select the one which one you like the most regarding their details. Enjoy the quality sounds and do the fun. All the very best for you people.